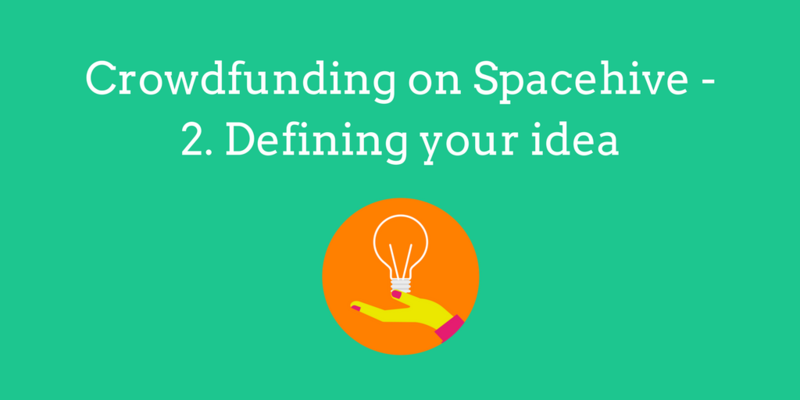 The first thing to do is check if your idea has what it takes to be crowdfunded i.e. will your project appeal to enough people who would pledge cash, skills and stuff to it. This section will help you review your idea, and where necessary, help you rework it into something that people won’t be able to resist getting behind. So before you get started, ask yourself these five questions. 1. Is my idea popular? The most successful crowdfunding projects are those that appeal to more than one audience – the more groups your idea appeals to, the more potential backers you can attract! For example, if you wanted to renovate a park, think of ways you can attract the support of everyone from local parents and nature enthusiasts to sports fanatics and school groups. By adding a ping pong table for sporty types and bird boxes for nature lovers, you can add elements that make your project more attractive for the community as a whole. 2. What makes my project special? Imagine someone was reading through their local paper and they stumbled across a piece about your project. Do they skip over it? Or pause and take a second look? If your project idea is a sports tournament, can you include participants from different generations and diverse backgrounds to make it stand out? Or perhaps the location is historically significant or unconventional like a converted toilet block or disused phone booth? Identify the ways your idea is different and how it could capture the imagination of the crowd and the media. Crowdfunding requires that you have to sell your idea so make sure your pitch looks good with great visuals and clear copy. The first elements people will see will be its title, image and summary so take the time to present your idea in an attractive way before asking people to pledge. 4. What will I offer backers in return? The biggest reward is the positive impact your project will have on your local area – whether it’s a new playground, a free arts festival or new youth centre equipment. When refining your project idea, it’s helpful to list the primary and secondary rewards, primary being the new public gym equipment, and secondary being the increased levels of fitness in the area. Doing this will also help you identify a wider list of potential backers. 5. Is my idea eligible? Spacehive is a crowdfunding platform for projects make local places better across the UK. Spacehive projects must transform shared, civic, or publicly accessible space, either temporarily or permanently in order to be eligible. Funding can be sought for both revenue and capital costs, but the project must have a clear start and end. Fundraising for running costs or solely charitable causes would not be suitable . Projects could be something that directly improve an area, such as painting a street mural or repurposing a disused building. Or it might bring people together such as organising a festival or event. Or your project that could lead to civic enhancement, namely a feasibility study or planning consultation. All of our projects help to enhance local places and bring communities together. If that sounds like you, let’s get started! Not sure if your idea is suitable? The Spacehive team are happy to help you decide if our platform is best suited for your project – just send us an email to support@spacehive.com with a brief description of your idea and we’ll get back to you as soon as we can.